Experience Slushie Machine Hire Services like Never Before! Oz Locals » Blog » Blog » Experience Slushie Machine Hire Services like Never Before! There are several ways to electrify your party atmosphere. In fact, in Perth and Adelaide the options are virtually endless. However, you can give your guests something special that they will cherish for the rest of their lives. Give them fresh, frozen drinks during your party so that they quench their thirst and give them an option to feel refreshed. If this is your idea, then contact us, Cocktail Warehouse with all your party requirements. We will be glad to provide you slushie machine hire and cocktail machine hire packages so that you need not worry about providing the favourite drinks of your guests. The best part in choosing our cocktail machine hire packages is that you have the option of providing more than 50 flavours of frozen drinks to your guests. 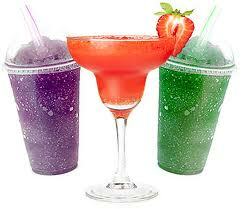 All our frozen drinks are prepared fresh and will be delivered to your place free of cost. Our slushie machine hire services are available across different suburbs of Adelaide and Perth. In using our machines you can look forward to enjoying a wide range of slushies, margaritas, daiquiris and cocktails. The kinds of services you will get from Cocktail Warehouse are hard to find anywhere else in these cities. Cocktail Warehouse provides all frozen drinks in non-alcoholic form so that both young and old guests can enjoy it without any guilt. However, they are free to add alcohol to the mixture if they need it that way. Our cocktail machine hire packages and slushie machine hire packages are extremely affordable. You will not find a cheaper package than ours in Perth and Adelaide. Also we provide free delivery of machines for suburbs that are within 35km from CBD. We also provide free straws and cups for each order placed before us. Our experienced technicians will visit your place and provide free demonstration on how to operate the machines as well. Cocktail Warehouse provides the most affordable and reliable slushie machine hire and cocktail machine hire services in Adelaide and Perth. In using our machines you can look forward to enjoying fresh drinks anytime during your party.